The Estonian Health Insurance Fund (EHIF) and Põlva Hospital have decided to close the hospital's maternity ward in October, and the same fate awaits the maternity ward of Valga Hospital, pending the approval of the latter's supervisory board. EHIF board member Maivi Parv explained that the closure of these two maternity wards due to low numbers of births had been discussed for a few years already, and forecasts aren't indicating that these numbers would increase in the future. "There are currently three hospitals in Southern Estonia that see fewer than 300 births per year," Parv said. "According to the Estonian Gynaecologists' Society, however, 400-500 cases per year are required to ensure quality of service. 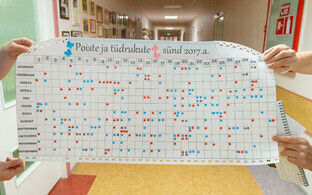 Both Põlva and Valga Hospitals fall below this indicator — last year, there were 138 births in Valga and 245 in Põlva." In the future, those giving birth will be directed to the maternity wards of Tartu University Hospital and Võru's South-Estonian Hospital, the latter of which is 27 kilometers away from Põlva. 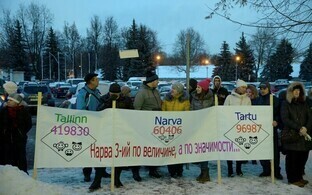 Should the supervisory board of Valga Hospital approve the proposal to close its maternity ward, most women from Valga County will travel 86 kilometers to Tartu to give birth. The board is to discuss the proposal sometime in the next few weeks. Agnes Aart, chief physician at South-Estonian Hospital, said that maternity care will remain close enough to home for residents of Põlva County. "The distance between Valga and Tartu is greater, but the maternity ward in Lääne County was closed in 2001 already, and women there travel 100 miles to give birth in Tallinn without any issues," she noted. According to Aart, women in labor can be transported by ambulance if necessary, and in urgent cases, there is still competent medical personnel on site that can assist in delivery. 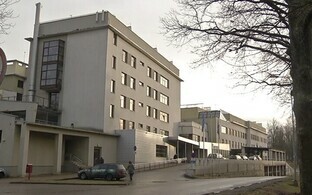 The EHIF confirmed that prenatal care will continue to remain available in both Põlva and Valga, and both hospitals will be allowed to keep the funding that had been earmarked for the operation of their maternity wards in 2018 and 2019 — the hospitals will be able to put this money toward improving access to other medical care. Põlva Hospital, for example, will likely use the funds to offer more primary follow-up care as well as in-patient internal medical care and medical rehabilitation. According to Parv, maternity care had previously stopped being offered in Lääne County, Rapla and Jõgeva already, and hospital directors and gynecologists there have not regretted the decision. "This decision has been delayed for years," she said about the Põlva and Valga hospitals. "We waited to see what would happen. Valga Hospital hoped that more people would come from Latvia to give birth, but unfortunately this hasn't proven to be the case." The decision to preserve the maternity ward at South-Estonian Hospital in Võru was based on the hospital's geographic location as well as the fact that of the three hospitals in question, it has the best intensive care capability. Mart Einasto, board member at Tartu University Hospital and chairman of the supervisory board of all three Southern Estonian hospitals, said that Põlva has over half a year to restructure its maternity care, noting that the priority must be finding good work for the current employees of the hospital's maternity ward. "Not much will change for those giving birth," he said. "There will be some changes for those who used to walk to the hospital in Põlva to give birth, but there likely weren't very many such people."